Paul Bloom is the CEO of PDB FutureCom International(PFI). PFI helps telco and enterprises use IT technology transform their business. The focus is on IoT and Israeli innovation. Our clients include IBM, Fujitsu, Verizon, Rogers, Israeli government, Cablevision, EMC, BCG, McKinsey , IQP, VascoDe, Cellwize . 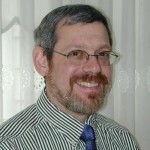 Paul Bloom was the CTO for Telecom Research and is responsible for applying the latest IBM technologies and research from its nine laboratories to emerging telecom solutions. A 42-year telecom / IT industry veteran, Bloom led the research strategy for Mobility . Bloom was a member of the IBM telecom executive team, which is responsible for IBM’s solutions and sales in the telecom market. He was also responsible for identifying Telco applications for the Watson deep Q&A technology. He is also a contributor and spokesperson for IBM’s Five New Technologies in Five years. Previously, Bloom was responsible for defining IBM’s strategy in the networking space, identifying partnerships (equipment manufactures and ISV’s), new technologies and new offerings that help telco’s transition from their current infrastructure to an IP-based infrastructure. Bloom also led IBM’s partnering program in the OSS and networking space. Prior to joining IBM in 1997, Bloom worked for Bell Labs, AT&T, and Bellcore. His expertise includes networking and network applications, and he is known as the father of the advanced intelligent network (AIN). At Bell Laboratories, Bloom was involved in the design of the CCIS, the AT&T intelligent network and network services, including the 800 service, calling card services and software-defined networks. At Bellcore, he was an executive director of the next-generation service platform division, where he led the RBOC’s transition of the 800 Service from AT&T.